The X01’s reloading procedures are similar to its host pistol, but the added charging handle greatly accelerates reloading and clearing malfunctions. Note: the X01’s right side charging handle intentionally does not lock the slide to the rear when held upwards. This is to avoid both sides of the charging handle locking the action, requiring a ‘double-slap’ downwards. 1B // Rack the charging handle fully to the rear and release. 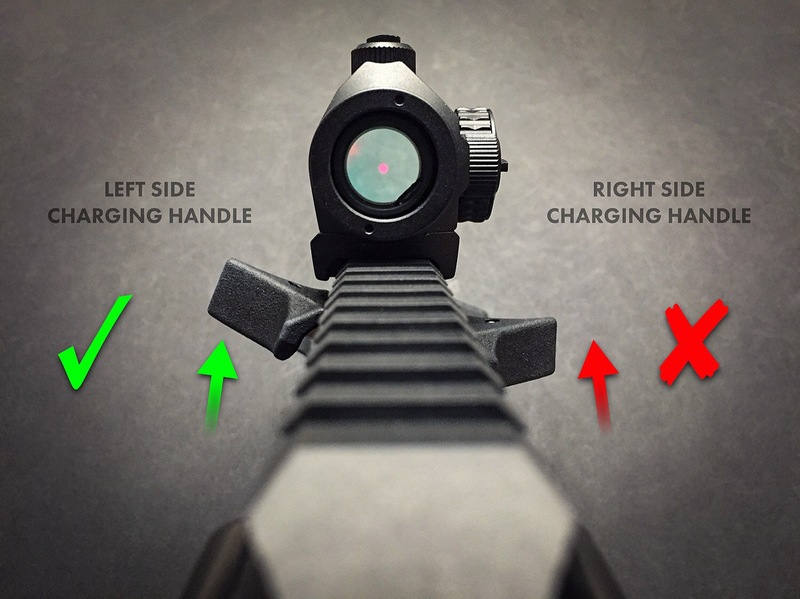 1C // Optional – perform a visual press check by retracting the charging handle slightly in order to visually inspect the chamber and ensure a round is loaded. 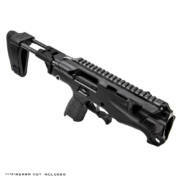 2A // Begin with the slide locked to the rear via the charging handle. 2B // Insert a loaded magazine into the X01. 2C // With a swift downward motion, “slap” the left side charging handle to release the slide and load the weapon. 3A // When the firearm expends all rounds in the magazine, the slide will automatically lock open. 3B // Eject the empty magazine and insert a loaded magazine. 3C // Rack the charging handle fully to the rear and release. 4A // Rack the left side charging handle fully to the rear and hold. 4B // Lift the left side charging handle upwards until it locks the slide to the rear. 4C // The weapon’s slide will now be locked to the rear. 5A //Rack the left side charging handle fully to the rear and hold. 5B // Press the slide stop (either side) upward. 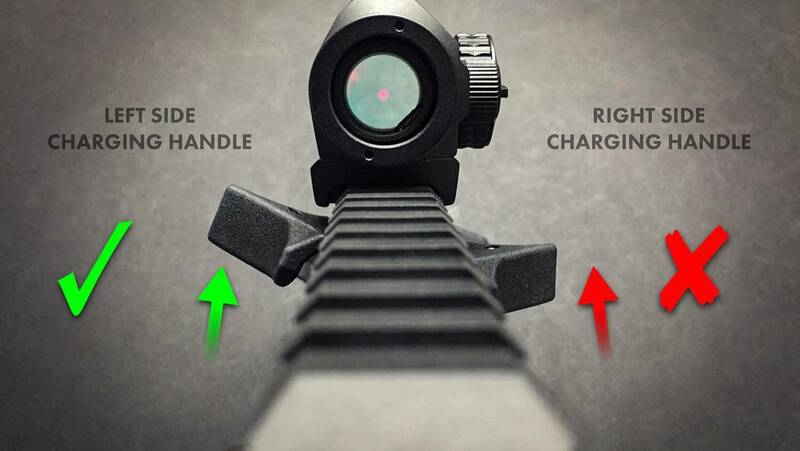 5C // Release the charging handle – the slide should be locked back via the slide stop. 5D // The slide can be released by either racking the charging handle or pressing the slide stop downward. 6A // The typical “Tap-Rack-Bang” method applies, with the “rack” step conducted via the charging handle.